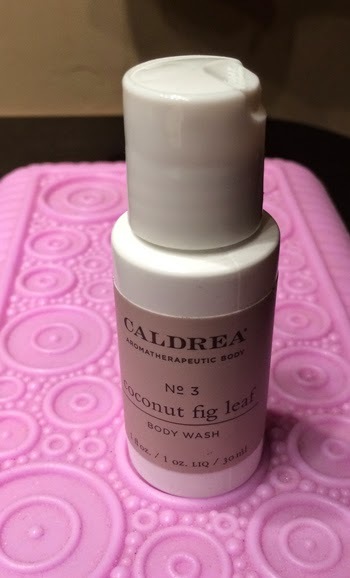 THE SKINNY: Caldrea's Coconut Fig Leaf Body Wash is probably one of the best-smelling organic/natural products I have tried. It's fruity and fresh and a hint spicy. Plus it foamed up and cleaned my skin nicely. The U.S.-based company is new to me but it looks like they have a pretty solid line. This wash was nice enough that I'd be willing to try other items as well. Plus Caldrea's wash is free of Phthalates, Sulfates, Formaldehyde, Artificial Colors, Parabens, Animal Derived Ingredients, MEA and DEA. So you can feel pretty good about using it. CHECK IT OUT: You can find Caldrea Body Wash (Coconut Fig Leaf) from Amazon.com.